The odds to reach an agreement are far better than 50/50! 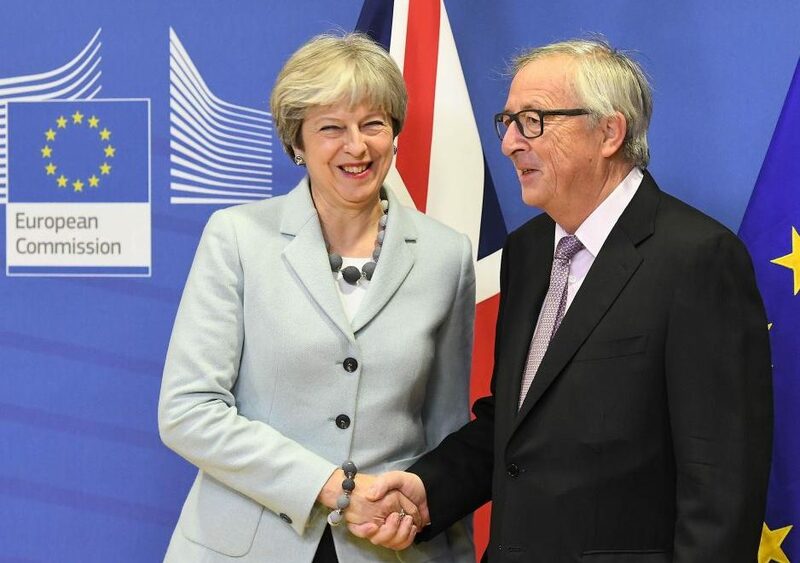 As the deadline to conclude the “exit agreement” – which includes an outline of the future relationship between the EU and the UK – is fast approaching, the rhetoric and posturing by all involved seems to reach new heights with every passing day. Nevertheless, reaching a compromise is clearly in the overwhelming interest of the parties, the risks of a failure being unacceptable. It is high time to dispense with grandstanding, proffering insults and ad hominem arguments as well as spreading unsubstantiated “fake news” regarding respectively the advantages and pitfalls of a “no deal” scenario. Indeed, from the point of view of the UK, failure to reach an agreement means, in particular, the cancellation of the “transition” period, putting in severe jeopardy all those who have postponed their preparations for Brexit relying on the government’s promises to deliver a deal. While it is likely that, in case of failure, stopgap measures will keep airplanes flying and vital medicines or radioisotopes moving across the Channel, the disruption to the economy would be very severe and the consequences born by the segments of the population the least able to cope. Failure would also create the most unfavorable climate for initiating indispensable future trade negotiations: they are unlikely even to start until the UK confirmed its acceptance of the “exit” terms already negotiated (in particular the payment of the €35 billion the EU is owed). In the interim WTO rules would apply though this might not prove straightforward, seriously affecting trade flows. The UK Government should concentrate on what is best for the country and assert its authority over warring political factions. It should also stop the home crowd pleasing rhetoric blaming Michel Barnier and the Commission for the current stalemate and recognize that they are merely executing the European Council’s mandate. Instead of wasting time in the futile hope of exerting pressure on the EU negotiator, the legitimate direct lobbying of Member States should concentrate on bringing about a change in the European Council’s mandate. This approach is all the more desirable that it is in the UK’s interest to ensure that the unity of the EU27’s position is preserved to avoid a “no deal” outcome that would automatically prevail if EU unanimity is broken. Pragmatism is also required from the EU: though Brexit is not the most pressing concern on the Union’s agenda – unlike for the UK – reaching an acceptable compromise is important, not only from an economic point of view but also in relation to maintaining close ties in the areas of defense, intelligence gathering, foreign policy, judicial cooperation, etc. The EU must therefore find the right equilibrium between making concessions to the UK without creating an attractive template appealing to other Member States. a) The UK, as suggested in the Chequers document, would remain part of the Single Market and the Customs Union for goods and agricultural produce but not for services. This would entail enforcing existing and future applicable EU tariffs, standards and regulations; starting from a fully aligned position, a suitable mechanism of consultation should cover any change or new rules decided by the EU with, maybe, the possibility of a non-suspensive appeal to the ECJ. b) For services, starting also from a fully aligned position, “equivalence” would be granted to the UK and the EU for accessing each other’s markets. Amendments to existing rules or new ones would be notified by either side for comment, each one retaining the unilateral right to suspend the equivalence regime if agreement is not reached within a specified timeframe. c) Within the above framework, the EU would allow the implementation of limitations to the free movement of EU citizens wishing to establish themselves in the UK. Such rules should be subject to non-binding consultation prior to implementation and apply reciprocally to UK citizens seeking residency in the EU. This reciprocity of should also apply to the status of citizens already resident in the existing 28 Member States at the time of the UK withdrawal. A compromise agreement along the above outline should be in the interests of all parties and avoid creating an incentive to leave the EU while meeting also some of the concerns expressed by Members States during the failed negotiations with David Cameron prior to the referendum; at the time, several EU members were sympathetic to some form of limitations to the “freedom of movement” principle but, failing “unanimity”, the indivisibility of the four freedoms was confirmed by default. Since that time, these demands can only have strengthened in light of the dramatic aggravation and difficulties of handling the problems related to both legal and illegal immigration. By insisting on the “reciprocal” application of rules to access each other’s market for services as well as for the free movement of citizens, one creates an environment in which the biblical maxim “do not do to another what you would not wish him to do to you” should prevail, while protecting, the ultimate sovereignty of both the EU and the UK to control their own destinies. Furthermore, the proposal allows a pragmatic solution to the vexed Irish border question and the continued respect of the Good Friday Agreement, bringing the welcome demonstration that preserving lives can override the most pressing economic interests. Granting the UK a “bespoke” deal was always on the cards because it merely recognizes the facts that the future relationship is of paramount importance for the EU and thus should amply justify showing flexibility by giving precedence to substance over form. While reaching agreement seems within reach, the process could still be derailed by outside geopolitical factors and in particular by the unpredictable tempestuous interventions of Donald Trump. For the first time ever, a President of the United States has declared (even fleetingly) the EU “an enemy”. Keeping Europeans united after Brexit should therefore become an overarching priority, to ensure that European nations do not succumb to vassalization to the United States. One can readily suspect that weakening the EU is among the President’s objectives in implementing his “America First” policies. The British would be foolhardy to pin their hopes on the US to thrive in a post Brexit world; the failure of the EU would, rather than justifying Brexit, bring down the whole European and world economy making Brexit a mere footnote in Europe’s tumultuous history. The time has come for all political forces in Britain to unite with the objective of delivering the best possible Brexit for its citizens. Both Brexeteers and Remainers should shelve their utopic and extreme solutions and support a reasonable compromise. The EU should revise its negotiating mandate to accommodate a more flexible approach because a sensible agreement will strengthen the EU and allow it to concentrate on its necessary further integration. As the end game looms ever closer, the decisions made in the coming months will shape the future of Europe’s 550 million citizens. A carefully scripted announcement of a last minute agreement should allow a Japanese style “face saving” exercise, reflecting favorably on the negotiator’s badly bruised reputation. Shall the body politic live up to expectations and meet the historic challenge it is facing?